Texas state officials are investigating allegations that a child died after being detained in unsanitary conditions at an Immigration and Customs Enforcement family facility, the state's child welfare agency announced. The incident was publicly reported earlier this month and drew the attention of the media and state legislators, but no case was opened because authorities did not know the identity of the child, officials said. Texas Department of Family and Protective Services said it formally opened the investigation Thursday after receiving the name of the child. Law firm Arnold & Porter was recently retained by the mother of the child "who tragically died after being detained by ICE in unsanitary conditions at the South Texas Family Residential Center in Dilley," Issara Baumann, Arnold & Porter's media relations manager, said in a statement. On Friday, Baumann said that the law firm is assessing the case and declined to provide additional comment on the child or allegations. The alleged incident was made public in the aftermath of the Trump administration's controversial zero-tolerance policy that led to the separation of thousands of children from their parents after crossing the southwest border illegally. A court subsequently ordered the administration to reunite children with their parents. Many of the parents and children that were previously separated under the Trump administration's zero-tolerance policy are now being held together at the Dilley, Texas family facility, which is one of two facilities in Texas managed by ICE that is used to house families together while they are in immigration detention. When the story of the child's death was first reported, ICE told The Washington Post that it could not investigate a case without the name of the child or other specific information. "ICE is cooperating with the Texas Department of Family and Protective Services' requests for records. Prior to being contacted by Texas DFPS, ICE had not been provided by any party with a name or identifying information with which to research these allegations," said ICE spokesperson Sarah Rodriguez on Friday. She said that ICE had no further comment at this time. On Thursday, during a Texas House of Representatives joint Human Services and Public Health committees hearing, Texas DFPS Commissioner Hank Whitman pleaded with attorneys or anyone with specific information to come forward. The committee chairman asked Whitman to address allegations that an infant died a day after leaving the Dilley facility. "I hope he's [the attorney] listening to this. If you just please give us the name of the child, we have no way of knowing otherwise, we don't know if the child died the day after, we don't know," said Whitman. "I'm putting my law enforcement hat on right now, I need to know the name of that child so we can investigate thoroughly." Shortly after the commissioner's statement, the agency received the name of the child and other pertinent information and immediately opened an investigation, according to DFPS media relations manager Patrick Crimmins. The spokesperson for the child's mother said they "have been cooperating fully with their investigation from the outset." From Dec. 1, 2017 through July 31, 2018, the Texas state agency launched 51 abuse/neglect investigations at state-licensed federal facilities for unaccompanied minors, as well as the additional investigation into the Dilley family facility. Most of the cases were determined to be unfounded, except for nine pending cases, which remain under investigation, according to DFPS. 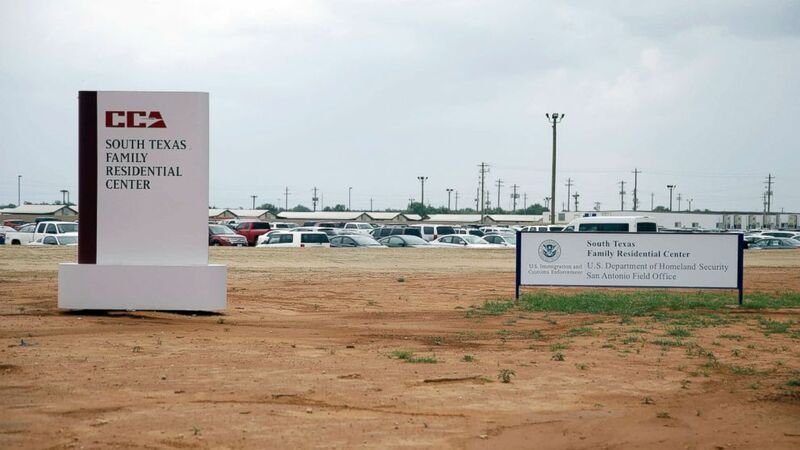 On Thursday, ICE hosted a media tour of the Dilley facility, but it took place before the name of the child was provided to Texas authorities. The American Immigration Lawyers Association, a national association of immigration attorneys, said it learned from a contact who was in touch with the family that the death occurred after the child and parent left Dilley. The association said it did not have additional details regarding the death.